In Melbourne, you have an option to book a vehicle from leading car hire companies such as Avis, Budget, Europcar, Hertz, Enterprise (formerly Redspot), and Thrifty. With our help, you can compare all available vehicles in one website and find the cheapest car rental or vehicle based on your specific needs. Whether you're looking for an economy car for a quick trip around the city or a full-size SUV to fit the entire family — you're sure to find the perfect car hire at VroomVroomVroom. Why book a car hire in Melbourne with VroomVroomVroom? Hiring a vehicle gives you the freedom to explore Melbourne and its surrounds. Here are some of the reasons why customers choose to book their rental cars through VroomVroomVroom. Flexibility - You can book long term, last minute car rental deals in Melbourne and explore the city at your leisure. Freedom - Moving around the city is a breeze in a private hire car. With some great shopping on offer in Melbourne, fill your days with a bit of retail therapy and use your hire car to store all of your new-found bargains. High quality vehicles - We only compare car hire deals from major car hire brands in Melbourne. Wide selection of vehicles - VroomVroomVroom offers you more choice when you book a vehicle with us. Click here to compare and book a campervan, or check out our van hire and minibus rental. If you are moving home and need a vehicle to transport your belongings, see our truck and ute rental page. Great rates - We compare car rental deals from major brands and our Price Promise assures you of getting the best rates. Locations - Rental cars are available from a number of car hire locations in central Melbourne. We also compare Melbourne Airport car hire. The summer months are a popular time to visit Melbourne when the temperature is a bit warmer. June and July are the coldest months of the year. Melbourne hosts exhibitions, theatre, concerts and sporting events throughout the year. No matter when you visit the city, you will be able to find something to do. For a few laughs, head to the city in March when the Melbourne International Comedy Festival attracts comics from around the world. For movie fans. the Melbourne International Film Festival kicks off in July. In November, visitors dress up for the annual Melbourne Cup, a famous horse race that brings with it an exciting calendar of related events. Before you start your journey in Melbourne, it is advisable to check the traffic to plan your route. Here's a useful Melbourne map from Snarl which features live traffic updates and CCTV footage of the roads. Click here to find out useful information on Melbourne's toll roads, which are controlled by Citylink Australia. For more driving tips, click here. If you are looking for an affordable car park at Melbourne Airport, we can help you with that. VroomVroomVroom did all the research for you so you can easily find a car park deal that will fit your budget. Click here for a list of all the leading parking suppliers at Melbourne Airport. What to expect in Melbourne? Hire a car to enjoy the city! Melbourne is the perfect place to create wonderful memories because of its diverse attractions. Whether you are young or old, art lover or sports enthusiast, the beautiful Aussie city has something exciting to offer you! We at VroomVroomVroom have come up with a last minute list of things you can do during your stay in the city. So what are you waiting for? Book and compare a Melbourne car rental for easy access to many marvelous attractions! Do you enjoy building LEGO bricks? 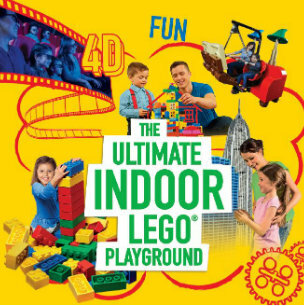 Come and experience LEGOLAND® Discovery Centre located in Australia's leading shopping centre, Chadstone - The Fashion Capital, where families with children aged 3 to 10 can enjoy a world of creativity, colour and fun in the ultimate indoor LEGO® playground. With features including global and local landmarks made from over a million LEGO bricks in MINILAND to exciting LEGO themed rides. For ticket prices and other information, please check their official website. Meet over 300 different species from around the world at Melbourne zoo, which is located near the city centre. See majestic Asian Elephants, sleek Sumatran Tigers and orangutans swinging through the trees. Visit the Gorilla Rainforest, or see koalas and kangaroos in our Australian bush setting and discover their exciting new interactive exhibits designed especially for kids. Hop in your hire car and explore the wineries of the Yarra Valley, which is just an hour away from Melbourne. If you prefer getting picked up from your hotel, you can join the Yarra Valley tours arranged by Wine Compass. 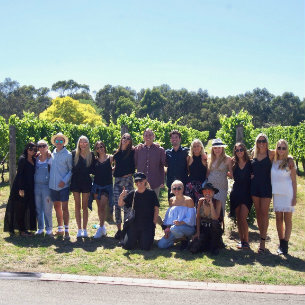 The private group winery tour company offers bespoke tours of the Yarra Valley and Mornington Peninsula wine regions. They believe a winery tour should be easy to organise, fun, social, and most of all tailored to your event. They also provide a fun and knowledgeable host who will guide you on your day, ensuring you get the most from your experience. Home of the Australian Open tennis grand slam since 1988, Rod Laver Arena hosts a wide array of world-class artists, sports events, family shows and other spectaculars throughout the year. The Arena consistently ranks in the top venues by ticket sales internationally, alongside the likes of O2 Arena in London and Madison Square Garden in New York. The Arena features a moveable roof, which gives it the versatility to transform and suit all kinds of sporting and musical events. Winner of the Victorian Tourism Award for best Major Transport and Tour Operator 2016, Bunyip Tours is an innovative eco-tour company that creates adventures for travellers from all walks of life. They have a diverse range of single and multi-day sightseeing tours from Melbourne including: Great Ocean Road, Phillip Island Penguin Parade, Mornington Peninsula, Wilsons Promontory National Park, Sovereign Hill & Daylesford, Puffing Billy & Healesville Sanctuary, and many more. With small group sizes (max 24) conducted in modern mini vehicles, visitors will be part of an interactive experience with well-trained guides offering expert commentary about Victoria's wonderful wildlife, unique history and so much more. Your Victorian adventure starts with Bunyip Tours. Known as the major railway station to stop for in Melbourne, Southern Cross is situated at the western end of the city and is the terminus of the state's V/Line regional railway network with access to everything. If you want to explore this place and nearby attractions that catch your interest, say if you are attending an event at Etihad Stadium, you can just jump in a car hire in Melbourne Southern Cross Station and be on your way. 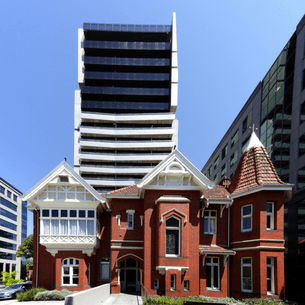 Seasons Heritage Melbourne is distinguished by elegance, historic significance and traditional luxury, and is a perfect base whether you are visiting for a short city break, a leisurely weekend or a business trip. The property features a 24-hour reception, wake up call service, laundry and dry-cleaning services, restaurant and bar, boardroom facilities, fully equipped gymnasium, complimentary wifi, on-site secure parking, complimentary local newspaper on request, secure luggage storage and security key card system. The property's prime location provides a great accessibility to public transport and close proximity to the Arts Centre, Southbank, the CBD and Federation Square. Also, be spoilt with the diversity of tourist attractions and impressive places to eat and drink. Every serviced apartment at Seasons Botanic Gardens is designed to provide comfort and convenience in mind. The hotel offers a choice of studio apartment, executive studio apartment, one bedroom apartment, one bedroom executive apartment and two bedroom apartment. Whether travelling alone or with a group, you are sure to have the perfect accommodation solution for your next stay in Melbourne. Conveniently located between the city centre and St. Kilda Beach, this hotel is the choice of both leisure, corporate or business travellers. Guests are just minutes away from some of Melbourne's best attractions, restaurants and cafes. Park Regis Griffin Suites offers spacious studios, one and two bedroom apartments that are equipped with modern amenities. You can also start and end your day with a satisfying meal and drink at the Purple Café and Bar. Or you can enjoy a relaxing massage in nearby Day Spas including St Kilda Sea Baths and Aurora Spa Retreat. Hidden away in Melbourne's Hardware Lane, Golden Monkey captures the romance, mystery and glamour of Old World Shanghai. Indulge in Asian-inspired cocktails and potent teas, mouth-watering bar food, and opulent service, against a backdrop of music offered by some of Melbourne's finest singers, musicians and DJs. Golden Monkey is open Tuesday to Friday from 5PM, Saturday from 7PM. Mondays and Sundays can be booked for private functions as well. Get a taste of authentic Brazilian cuisine right in the heart of the city. All of their meat are grilled over open fire and served rodizio style. Enjoy a selection of 12 Australian best roasted meats and poultry, sausage and sauces served from their specially designed Brazilian Churrasco. The cozy restaurant is located Upstairs at 61 A' Beckett Street. If you are a lover of spice, heat and everything that is great about Malaysian food, be sure to put this at the top of your list of places to visit. The shopping scene is also brilliant in the city - and a trip along Chapel St will ensure that your wallet is a bit lighter when returning home. For the serious shoppers, make sure to hire a car with plenty of trunk space to fit in all your hard days shopping. Four seasons in one day, the culture capital of Australia and the culinary capital are all apt descriptions for Melbourne. The capital of VIC may not be all glitz and glamour like its rival capital - Sydney, but this place has a sophistication and elegance that welcomes everyone who visits. Picture yourself driving around in a sports car rental in Melbourne and enjoying the city! Book the best car hire deal today and enjoy what Melbourne city has to offer!